Merchandising Solutions Group provides service and support in the following areas of merchandising: cycle visits, new store roll-outs, remodels or resets, DSD pull-up service, fixture installations, graphic installations, in-store promotional events, store audits, project management, and assembly. Our state of the art web-based system allows you to make quick operational decisions as you have timely feedback on store conditions in the field. The technology supports staffing, execution oversight, communication, tracking, and reporting and also provides client full access and visibility of all work performed 7 days a week / 24 hours a day. 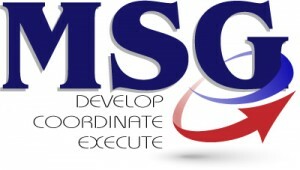 MSG “Develops, Coordinates, and Executes” providing successful results for its retailers and manufacturers.